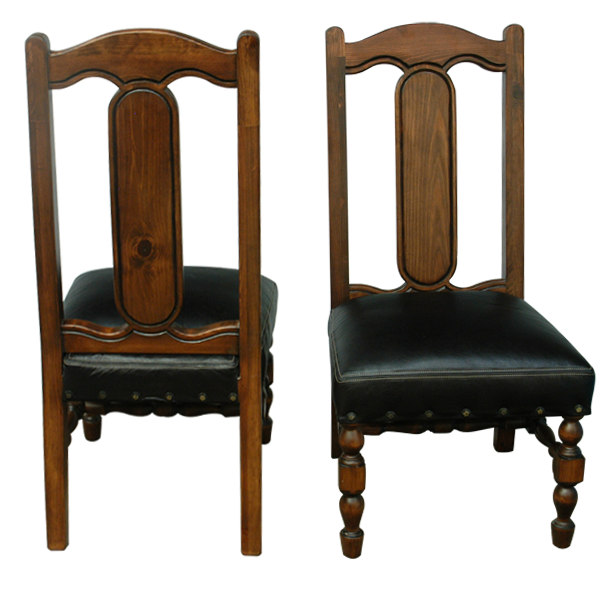 This lovely chair has a classic designed wood frame and is an outstanding example of our quality, handcrafted furniture. The wood seat back has a beautiful oval splat, and the splat has a hand carved grooved design around the entire oval. 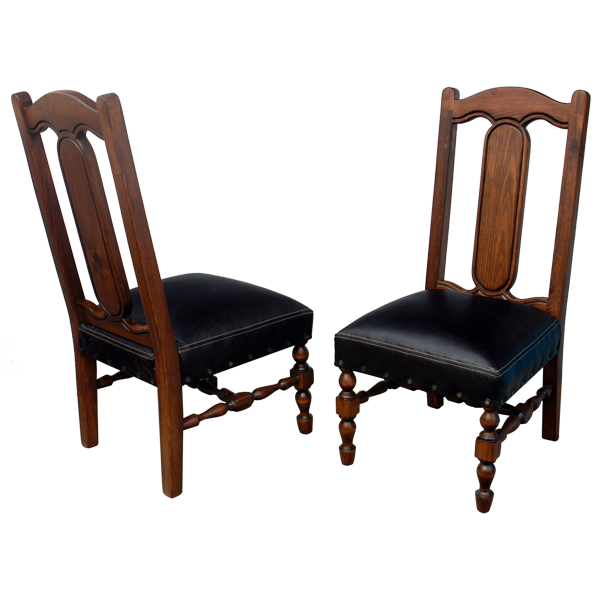 The chair has solid wood, beautifully, turned trumpet legs, with straight back legs. The legs are joined by an “H” wood turned stretcher. 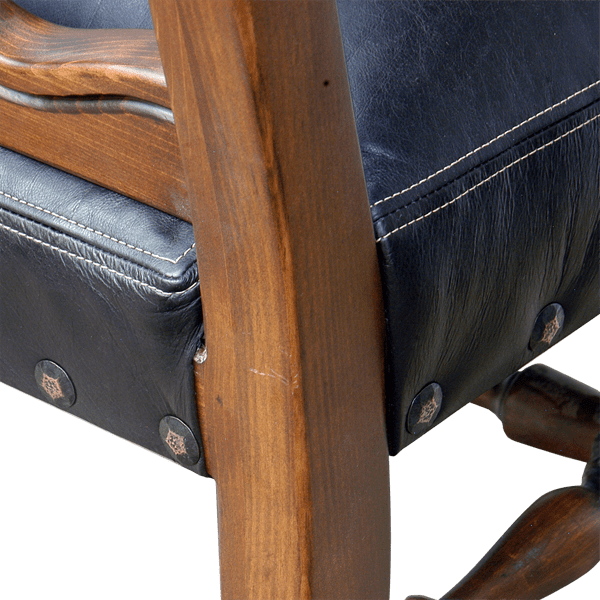 The seat is upholstered in brilliant, black full grain leather. The upholstery is precision hand tacked to the entire wood frame by our skilled craftsmen. The chair is decorated with hand forged iron nails hand tacked to all sides of the base of the seat. The chair is made with the best wood available and is guaranteed for life. It is 100% customizable.